The Mauri Italian design shoes from handmade exotic skin are unrivaled in the men’s luxury shoe market. 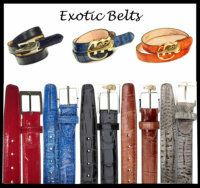 Mauri uses the finest exotic skins including alligator, crocodile, ostrich, lizard, and others to design a shoe that stands out in today’s market as no other. Every pair is handcrafted to meet the stringent demands of today’s modern man. The Mauri shoe collection is design quality, look and feel at it’s best. 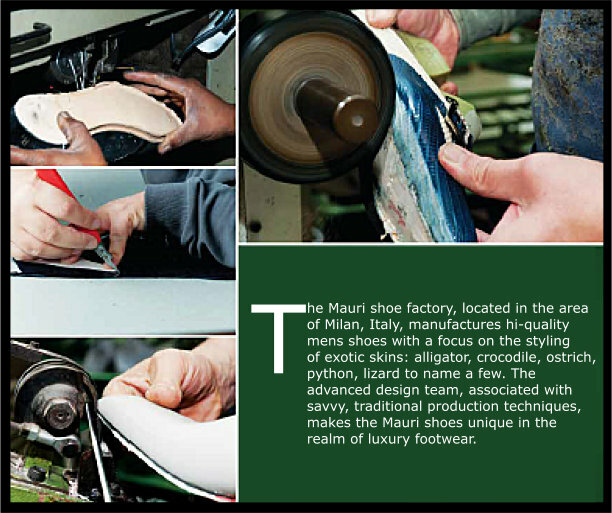 Mauri shoes are stocked in inventory selections supplied by Mauri USA and are Made-To-Order shoes. Many are in stock and stock is resupplied every two weeks. If not in stock items can take from a couple weeks to 3-months for custom made.